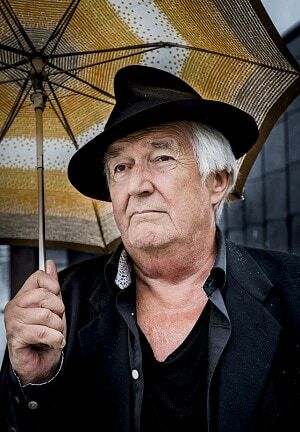 Henning Mankell, (born February 3, 1948, Stockholm, Sweden—died October 5, 2015, Gothenburg), Swedish novelist and playwright best known for his crime writing, especially for a series of novels featuring Kurt Wallander, the chief inspector of Ystad Police Department. Set mostly in what he depicted as a particularly bleak region of Sweden, Mankell’s crime stories have a strong sense of place. Lean and dark, they reflect on what it means to be Swedish—indeed, what it means to be human—in a brutal and depressing world. Mankell grew up in Sveg, a small town in the Härjedalen region of central Sweden, where his father served as a judge. 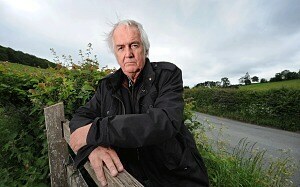 His mother deserted the family when he was a toddler, and Mankell and his sister were reared by their father. At age 16 Mankell joined the merchant marine, and he worked for two years as a stevedore on a freighter. When he returned to Stockholm after an extended stay in Paris, Mankell began to write in earnest, trying his hand at playwriting before publishing the novelBergsprängaren (1973; “The Stone Blaster”). He continued to publish fiction, including the juvenile novel Sandmålaren (1974; “The Sand Painter”). The first of his Wallander novels was Mördare utan ansikte (1991; Faceless Killers). Thereafter he wrote one Wallander book a year, beginning with Hundarna i Riga (1992; The Dogs of Riga) and ending with Pyramiden (1999; The Pyramid), a prequel to the first Wallander book. Mankell then waited a decade to feature Wallander once more, this time in Den orolige mannen (2009; The Troubled Man). Mankell’s non-Wallander crime novels feature such characters as police officer Stefan Lindman (Danslärarens återkomst [2000; The Return of the Dancing Master]) and Judge Birgitta Roslin (Kinesen [2008; The Man from Beijing]). 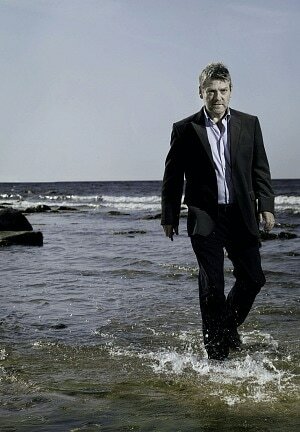 Mankell fans, however, remain obsessed with Inspector Wallander. Even though he was not especially likable or attractive, the character—with his divorced loner status, his bad eating habits, and his deeply pessimistic outlook—seemed to strike a chord, and, well before the advent of Stieg Larsson’s Millennium novels, Mankell’s crime novels were translated into dozens of languages. Sales were further spurred in the 21st century when many of his books were adapted for television in both Swedish and English versions, in which the role of Wallander was played by Rolf Lassgård, Kenneth Branagh, and Krister Henriksson. Yellow Bird, the production company that Mankell cofounded in 2003, produced several of the Wallander TV series as well as the Swedish film adaptations of the Millennium books. Throughout the flurry of activity involving his Wallander series, Mankell continued to write other books, including Italienska skor (2006; Italian Shoes) and Svenska gummistövlar (2015; After the Fire), his last novel. Both of the works centre on a reclusive former surgeon. He also penned several books—including Eldens hemlighet (1995; Secrets in the Fire)—for a younger audience. In addition, Mankell maintained the connection with the theatre that started in his youth. He worked from 1984 to 1987 as director of the Kronoberg Theatre in Växjö, Sweden, and in 1986 he became the director of Teatro Avenida in Maputo, Mozambique. He was engaged in AIDS work in Africa for many years, donating money to several nongovernmental organizations and publicizing the need for global involvement. His nonfiction book Jag dör, men minnet lever (2003; I Die, but My Memory Lives On) is a reflection on his experiences in that regard. He divided his time between homes in Mozambique and Sweden.